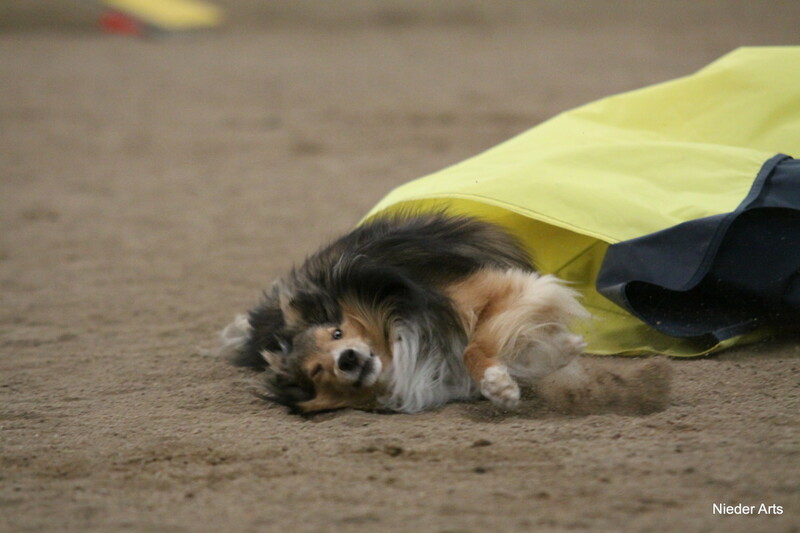 Videos posted on Facebook of dogs slipping on sub-par surfaces at two different agility trials have recently started a firestorm of debate about the safety of agility surfaces. 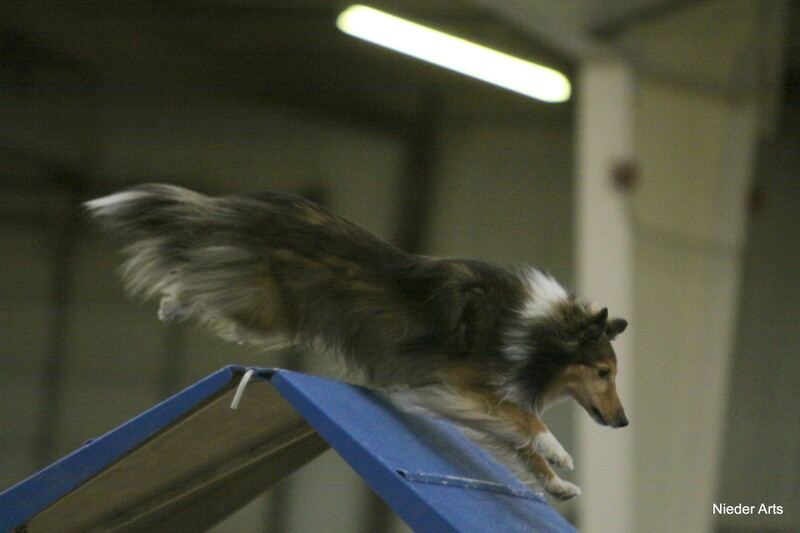 As my close agility friends know, I have been a surface snob myself since starting to trial my sheltie, Asher, so I'm thrilled at the upswing in discussion about agility surfaces. What I'm not thrilled about are the people who seem to feel it's perfectly fine for clubs to continue to offer unsafe surfaces for our dogs. 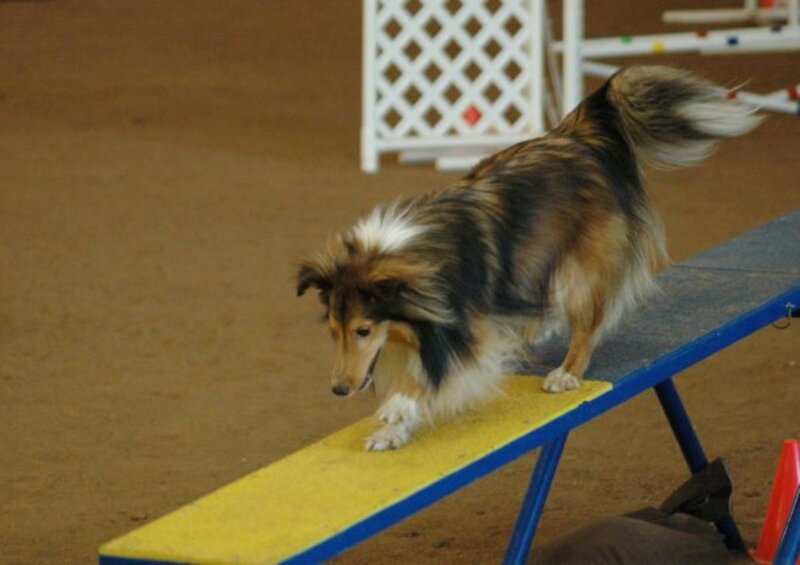 When discussing a slippery surface, many people have said something to the effect that "agility trials have been run for years on those surfaces, so why change?" Others have argued that agility is a dangerous sport where accidents happen, so why worry about a surface? 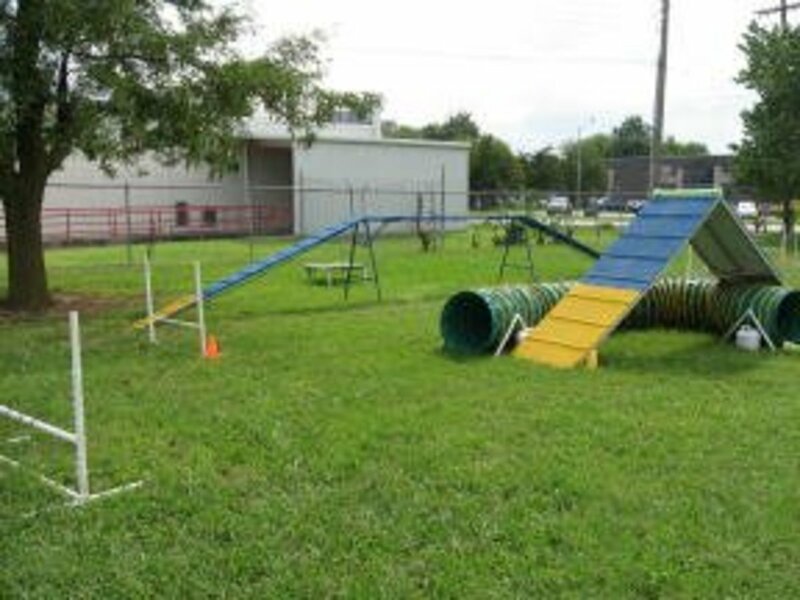 In a third slippery agility surface incident that popped up on the agility Facebook community awhile back, a club member was rumored to have told a competitor angry about the poor surface, "It's the handler's responsibility to decide about safety, not the club's." Whether that remark was ever truly stated or not, it begs the questions: What exactly is a club's responsibility when it comes to safety for our dogs? What is the handler's responsibility? 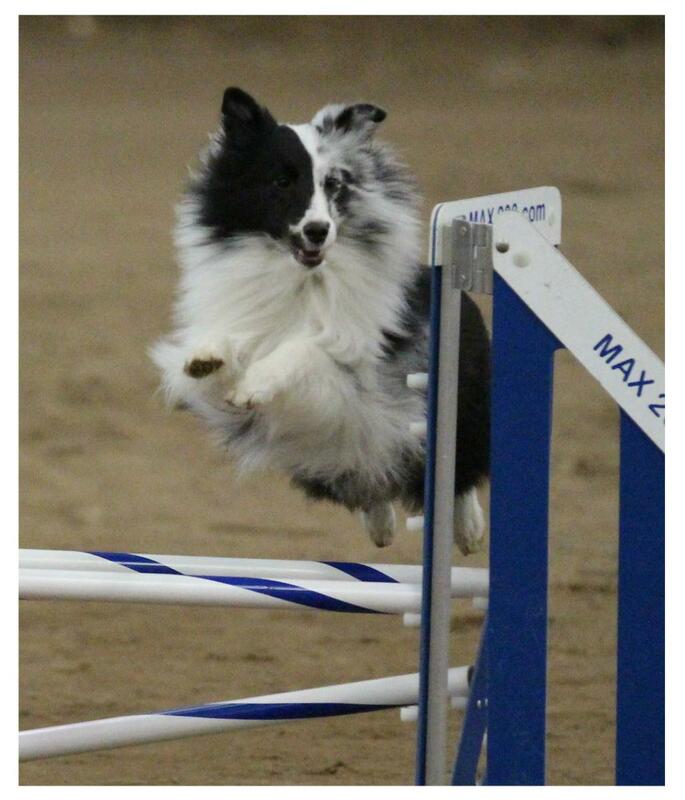 Why do some people think it is a bad idea to ask for clubs to offer safer agility surfaces for our dogs? 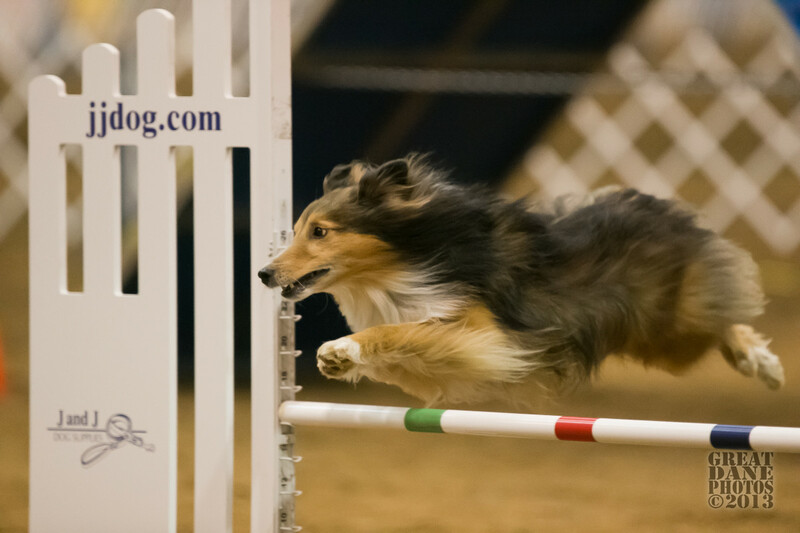 To learn what the sport of dog agility is, read Agilitymach's article "What is Dog Agility: Agility Information for Newbies." Who is Responsible for a Safe Competition Surface? When I write and mail my check for a trial entry, what am I expecting of the club whose name is on the check? Well, I'm expecting them to truly offer the trial they posted in their premium (a premium is a basically a trial announcement). I'm expecting the trial to be on the day mentioned at the location mentioned. I'm expecting them to offer the classes they say they'll offer. In fact, I'm expecting them to offer everything they say they will in their premium (or "test" for USDAA lovers). In the premium, there will also be a description of the surface on which the dogs will be running. In my area of the country, it's usually "packed dirt." This description doesn't really give the competitor the true safety picture. I've seen "packed dirt" mean large clods on hard packed concrete-like dirt. I've seen "packed dirt" to mean a beautifully, softly-compacted bed of dirt with the perfect one-inch layer of fluff on top, moistened just so and not the least bit rutted. I've seen "packed dirt" mean a rutted surface on one quadrant of the ring to deep sand on another quadrant to clods on another quadrant to a pretty decently prepared and moistened dirt surface on the other quadrant. This "packed dirt" leaves much open to the interpretation of the club and to the expectation of "safety" for the entering competitor. Does a club offering "packed dirt" really need to offer the safest possible preparation of the dirt surface possible, or is it the handler's responsibility when they arrive at the trial to decide whether the surface is suitable for their dog? Of course, the answer is both. It IS the responsibility of the club to offer the safest possible surface. If the surface is on dirt, the club should learn how to prepare the best possible dirt surface, and make it (along with equipment safety) the top priority. If the surface is on grass, there should be a plan to avoid the ring surface getting wet and becoming slippery due to rain if at all possible. If the surface is on soccer turf, mats or other unchangeable indoor flooring, the club should "test" the surface for safety on a variety of dogs of varying speeds and sizes before renting the facility. Trial day is not the time to find out your club's surface is dangerous! Unfortunately, clubs sometimes fail to prepare a safe surface, or a fair surface deteriorates over the day due to several possibly unforeseen variables. 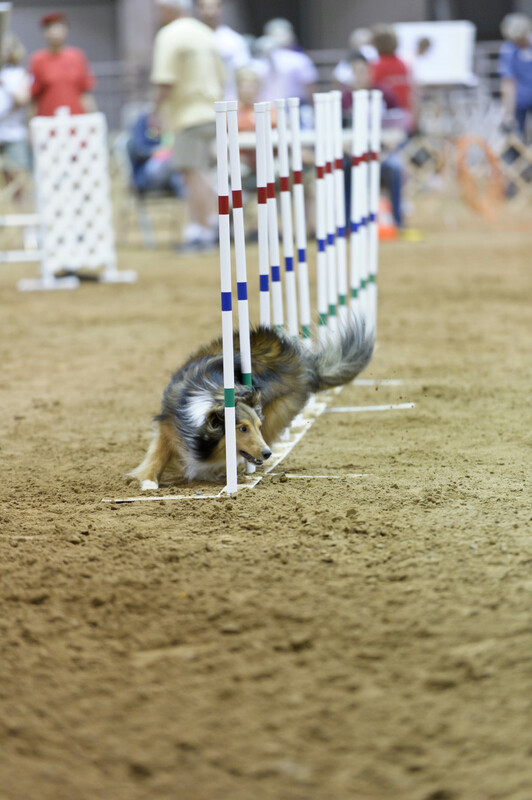 When this happens, it is true the handler becomes the dog's last advocate, and the handler must be prepared to pull their dog and lose their entry fees because of the poor surface. However I believe a handler should not have to make this decision. Clubs should be responsible for preparing or providing surfaces that are good for ALL dogs. For years, I have heard trial committee members defend their poor surfaces by stating that because their personal dogs didn't slip, the surface is fine. The fact is all dogs jump differently. The variables that go into this are many. How fast is the dog? What is the dog's front structure like? How about the rear? Where is the dog's center of gravity? How old is the dog? How big is the dog? I hear trial committee members often talking about competitors "eating sour grapes" because of complaints about slipping dogs and knocked bars. These aren't "sour grapes." They are usually legitimate complaints about a surface that needs the trial committee's full attention. Because simply put, it is the CLUB'S RESPONSIBILITY to provide as safe a surface as possible for our dogs (and us!). 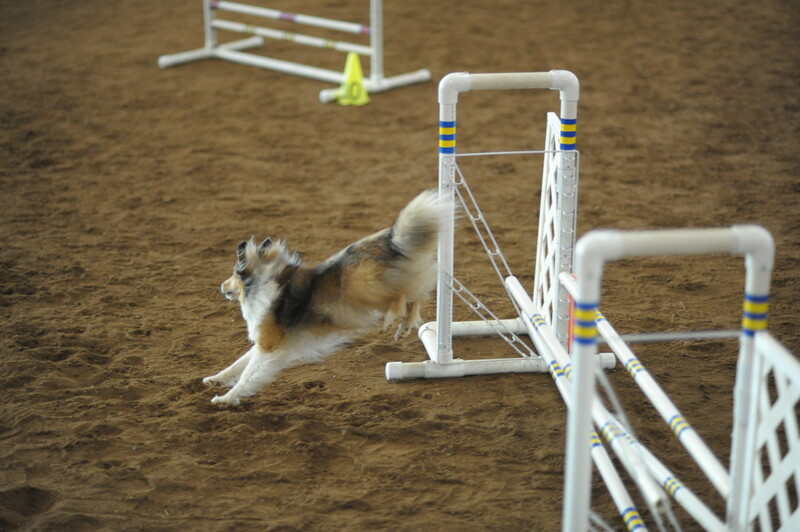 Do you think the topic of safer agility surfaces is important? No. The whole topic is a waste of time. Working toward better surfaces is fine, but there are bigger issues to deal with first. Yes. 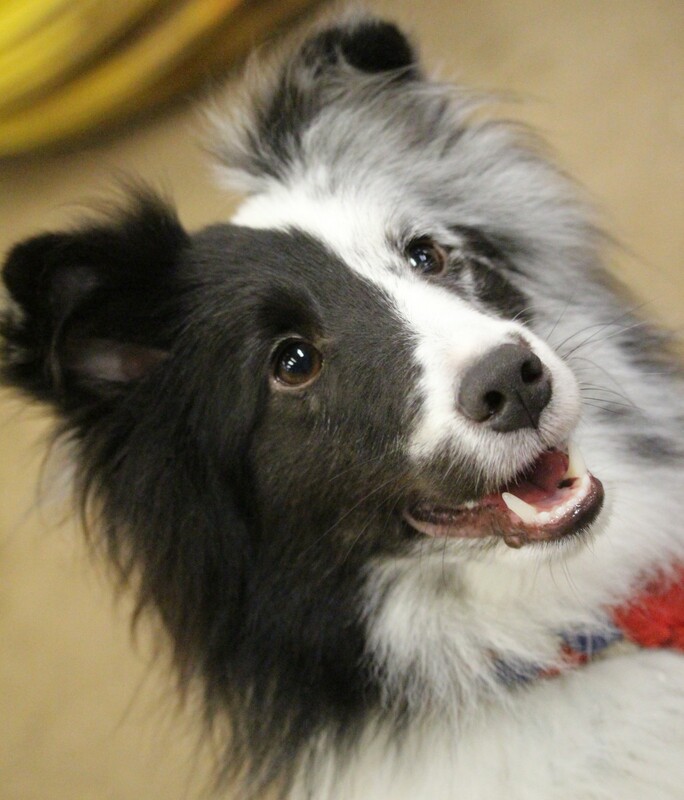 Safety of our dogs should be top priority in agility. One argument I have heard against seeking and demanding safer surfaces is that it doesn't matter if a dog runs on a poor surface or a great surface because agility is a dangerous sport and dogs crash on all surfaces. This flat doesn't make sense. Yes, dogs can crash on any surface. However, if dogs crash three times more often on Surface A than they do on Surface B, then why would anyone want to run their dog on Surface A? Shouldn't the agility community as a whole be working toward the most safe surfaces, realizing there is no 100 percent safe surface, rather than continuing with surfaces that are less safe? Apparently this logical thinking isn't clear for many in the agility community. The issue is simple. Either you want to continue to run on a surface with a higher percent risk of a crash and injury to the dogs, or you are on the dogs' side, wishing to push clubs and titling venues to surfaces that have a lower risk of a crash. You are either for added protection for your dog, or you aren't. I hate to be that blunt, but I don't see another, third option. I hear the argument "train for a bad surface" given in defense of slippery surfaces all the time. The idea is that if your dog will be running on a slick surface regularly, then you mimic the surface in training and teach the dog how to be careful on that surface. There are issues with this line of thinking however. First, the dog will be at danger while learning to slow down on the more slippery surface. A handler simply does not always have enough speed control over fast dogs, and "slowing the dog down" enough for a dangerous surface does not always occur even with the best handling. The idea of teaching the dog to slow down is for the dog to first slip on the surface and learn it isn't that safe. Second, even running slower, the likelihood of a dog having a foot slip out from under him is higher on a slick surface than a safer surface. We're right back to the "would you rather run on a safe surface or a slick surface" argument above. The "we can't bubble wrap our dogs" argument I also hear so often is just a silly way of saying, "I don't care about limiting danger to my dog." Of course we can't always protect our dogs, but we can and should mitigate dangers. I do believe it is important for the dogs to learn to run on many, different, safer surfaces. On safer surfaces, I agree - train to that surface. I believe it's important for my dog to learn how it feels to have different, safer surfaces under their feet. Well prepared dirt, good grass, turf, and mats with cushioning and great traction are all surfaces I will happily train my dogs to become familiar with. If you don't mind, I won't be training my dogs on slick and unsafe surfaces because I won't be asking my dogs to run on slick and unsafe surfaces either in training or competition. I don't believe in "Let him slip. He'll slow down." I can hear the, "But dogs can slip on any surface" argument again churning around in some people's heads as they read this. Read above. The idea I'm promoting is to provide a less percentage chance of a dog slipping. Are you for less slipping, less injuries and better surfaces or for MORE slipping, more injuries and poor surfaces. 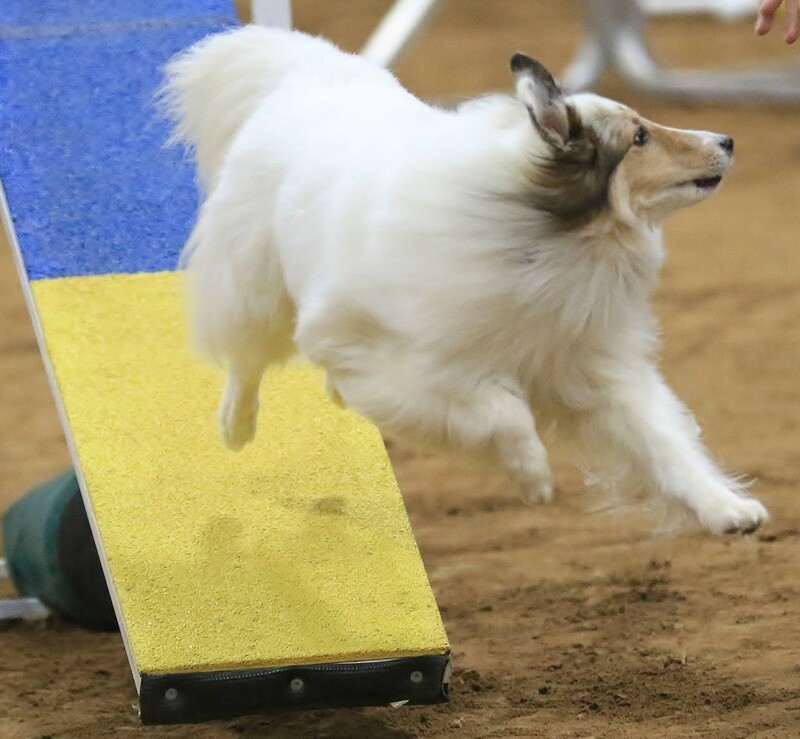 I have also heard the argument from "old time" agility competitors that, "We've always run on that surface, and it's just fine." But I think their cry of, "We've always done it that way" is precisely the issue. Change hurts. As I watched the debates about agility surfaces unfold on Facebook, what I most felt from those who regularly run or hold trials on surfaces that are less safe was defensiveness. Their "hackles" immediately rose as they went into defensive mode after feeling personally attacked. I hope as people read this blog that they lower their defenses, take a deep breath, and really think about the topic. If your club is offering a surface that results in more slips and crashes than another surface does, don't get defensive. How can you fix that? Think outside the box - way outside the box. Throw a little money at the issue. If you've run your dog on a slippery surface and are feeling defensive after reading this blog, relax. Many have, and hopefully we've all learned from it. The whole idea of this blog is to get the agility community thinking about the importance of making safer surfaces for our dogs. How someone can argue against that, I cannot imagine. Whether you agree with all of my statements here or not, I'm sure you ARE for safer surfaces. So, let's get started. Let's start talking. Let's start voting for safer surfaces with our entries. Let's make change. Let's make this sport - and our dogs - as safe as possible. "We've always done it this way" is the scourge of all dog related hobbies. I think change is difficult, particularly in my part of the world because of cost. It's hard to find a place to train or compete at, so when you do find something it's that or nothing. I agree. And the "my dog isn't affected, so it's fine" argument has got to go. Don't we love ALL dogs? I want surfaces that are the best possible for the most types of dogs possible. I've run on surfaces that were fine for my dog, but I could see another group of dogs (often tall, fast dogs) was really struggling. I was unhappy with that surface not because my dog was at risk but because some other dogs were at risk. I know clubs struggle with facility help, equipment and more, but the idea is for the club to produce the best surface possible for the largest types of dogs possible. And yes, surfaces should also provide some cushioning. It's not just grip that needs to be evaluated but hardness as well. Where I live, there are many indoor facilities that use rubber flooring. Not all rubber floors are equal, a few use stall mats with little to no cushion. We have to look at concussion on joints and the body as well as grip. I've had it argued to me that "I run a small dog, they don't hit the ground as hard so I'm not worried." I am not a physicist but I would bet that proportional to size, there is damage being done when hitting hard surface. I won't run my dogs, big or small, on those surfaces, even if grip is exceptional. The concussion is just too much to place on the body at such high speed. I totally agree, the surfaces should be safer for our dogs. Health and condition of their bodies in their senior years is far more important then a 2 cent ribbon. I love running in outdoor trials with my dogs, but if the grass is to dewy the first run of the day, I'll pull my entry, or if there is a rain during the trial, I'll pull then too. My dogs are not a tool like a golf club for a sport, they are living breathing precious beings who look to us to keep them safe. I also wish the equipment was safer to, I'll never understand why the dog walk needs to be so high off the ground, it would still be just as competitive and difficult to navigate properly lower, but much safer. I push clubs to develop a "surface committee" of nominated members whose job it is to be present when the fairgrounds prepares the surface on Wednesday or Thursday for the weekend. Plus the surface should be prepared every night. (I have served on a surface committee btw.) Even then, things happen. At my local club, the fairgrounds accidentally dumped so much water on the surface that it was a complete mud bath. There was nothing that could be done. Fans were left on to attempt to dry it out, but the surface wasn't acceptable until Sunday. I get to choose which trials to attend, and I chose the clubs who I know are working hard to prepare a good surface every day of the weekend. It sounds like your club is one of these clubs. It is up to the club to provide a safe surface. I give up to $300 for entry fees that I cannot recoup if the club fails at this. When they take my money, they are saying they will do their best to keep me from having to decide to lose my $300 to keep my dogs safe. If they don't do that, I don't go back, and neither do most of the folks around here. As time progresses, clubs are becoming more sensitive about surface safety, and that is awesome. While there still are bad surfaces out there, the improvements are keeping all of us safer!! Having been a trial chair for many years I can say unequivocally that our club tries to provide the best possible trial experience. That includes having a "safe" surface. All of our trials (4 per year) are held at a fairgrounds arena on packed dirt. This arena is one of the favorite venues in our area and we consider ourselves lucky that we have secured dates for our trials. We work with the fairgrounds on how to groom the surface. We have checked with other clubs and canine sports experts on what makes the best surface and paid an additional fee to bring in mulch or whatever products need to be added to provide the safest possible surface. I feel we have done due diligence and yet...we have arrived and the surface is not what we planned and paid for. The surface is one of the things that the club does not have complete control over. We can request and we can pay extra...however...the fairgrounds does have other events that sometimes impact what the surface will be when we arrive for the trial. We also have a ring crew available to rake the dirt in areas where, typically large dogs have left ruts. I feel we have done due diligence and we still have competitors complain that we have not provided a safe surface. Also competitors differ in what they feel is the best surface. If this was a perfect world....yes...we all want to have the best and safest surface possible. But it is not a perfect world and in the end it is up to the handler to decide whether the surface is safe for their particular dog. Agilitymach, thanks! Maybe Boo isn't too old! As said, I'm not much into the competition idea, but more important, I want to help Bushi be happy and fulfill herself. She's a part pit, part Aussie or something like that (as a rescue dog, it's hard to say). Years ago our newest dog started a dog/yak fight. (We were raising yaks for wool/cheese/milk.) Bushi was the dog who "finished" the fight. She spent long moments hanging from yak ears and yak noses and I'm both astounded that she lived and remained unharmed beyond a minor hemotoma and that she displayed the incredible athletic ability she did. Seriously, she bounced sky high on yak horns. Besides that she's been nicknamed ZoomPuppy for her ability to run circles around everyone/thing else. Fast, fierce and speedy. Her name means, "warrior" and we didn't know how appropriate it was when we got her. I don't enter trials where I know the surface is unsafe. Of course, that means I have to go there at least once! But my dog has spent enough rehab/down time from pulled muscles, and ripped pads that it only makes sense to put him first - always. If I arrive at a site that I'm unfamiliar with, and I don't like it, I would eat the fees and go home. I have only found ONE rubber matting surface that I would run on, and it's not in wide use. A dirt surface that isn't dragged with a spike harrow turns hard and slick. I've also run on slick artificial turf. As you can see, I'm picky about surfaces! One of my students started her Golden Retriever in agility at 9 years old. She retired at 14 after earning her Master's titles!! You may well find yourself competing with your dog. 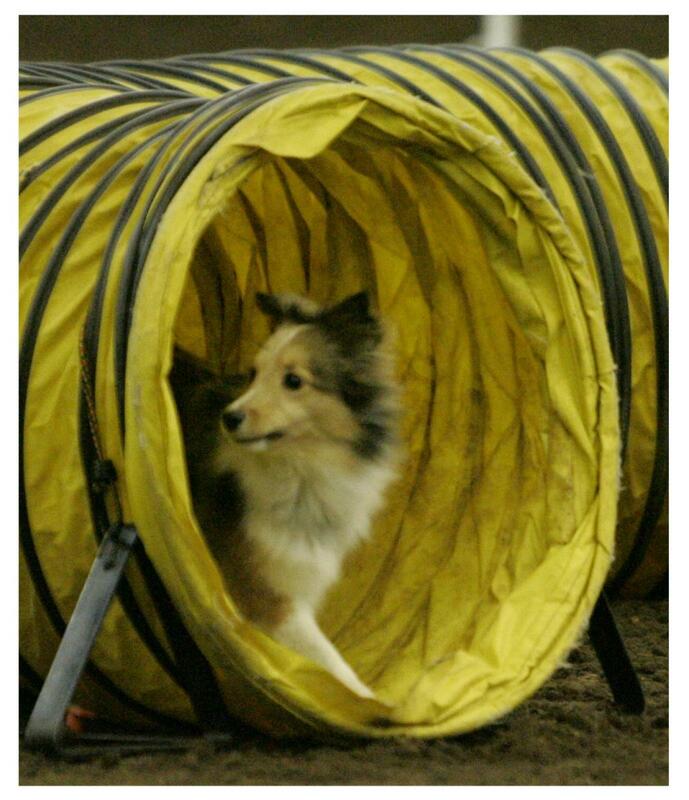 Regardless, enjoy your agility journey!! I have one dog that I plan (once we move out of our miserable condo to a better space) to start working agility with. I have no plans to compete with her, I just think Bushi would have fun. She's amazing fast and agile, possibly the most I've ever seen, but she's nearing 8 now, so I don't see competition in her future. I do appreciate the heads up and will follow your wisdom on creating a safe course for her to play on. I absolutely agree that a safe course is imperative for our dogs, and that any clubs had darn well better guarantee one. And if the club can't guarantee a safe surface then they'd better either create one or cancel. It's pretty freaking crazy to pay an entry fee and then find out last minute that the course isn't safe. MY dogs aren't about to get subjected to anything that can hurt them if I can help it. Seems like the clubs need to get a clue here. Thank you everyone for your comments. I do appreciate you dropping by to read and taking the time to comment. As for me not understanding the position of the clubs, let me state a few things. I have been on a club's committee charged with finding a suitable facility for trials. It was REALLY hard. I spent countless hours visiting facilities and talking about everything from crating to parking to bathrooms to surface. Lots of talk about surface. In addition, I have been the one in charge of a dirt surface when things went wrong. Yes, sometimes the surface is not properly prepared by the facility. We, too, rented from a county. The first day of the trial, the dirt was too fluffy with ruts underneath it. It was quite dangerous for small dogs and humans. We could have had the response many clubs do of, "Well, we can't do anything about it." Instead, we made the facility rework the dirt that night. The next day, we had a much safer surface for all teams. I'm personal still fighting a injury from a bad surface in dirt a 1 1/2 later. She may have to retire. The club only get the dirt trilled and ready before the first day. They refuse to water and till after each day, I was told it's too much trouble to take the center fence and move the equipment. I learned the hard way,as I would never hurt baby. Also I will run there again with any of my dogs, no more $$ from me. Thanks for the article. This author really seems overly-concerned to the point of preaching in this article. The surfaces aren't always the club's "fault" - sometimes they are promised one thing (grated dirt), and then arrive to find something else entirely (clods and ruts). The owner of the facility dropped the ball, and often the surface cannot be corrected prior to the start of the trial. The best the club can do is complain to the owner and/not use that facility again. Look, we aren't always going to get perfectly manicured lawns for our dogs - that's not realistic. Even people competing in the Olympics, the highest level of competition, don't always get perfect surfaces, perfect conditions, etc. They do the best they can and compete, or if they don't like the track surface or whatever because it's raining, then they drop out. No one can predict the weather or EXACTLY what the surface will be like, and that's not the Olympic Committee (or the club's fault). It seems unrealistic to demand surface perfection when there are so many uncontrollable variables at play. I also agree that it's the clubs responsibity and the competitors. We have a trail here, twice a year. We rent it from the county. We don't personally groom the dirt. But we talk to the guy who does groom it. We've had lots of complaints about our surface. We try really hard to make it safe. During the day, I'm out their re-watering, trying to get rid of the soft ,dry , slippery dirt on top. I run fast dogs too, and I don't want them getting hurt and I surely don't want anyone else dogs gettting hurt. I feel we try really hard to make the dirt safe but I know there have been slippery spots in the past. The county did resurface the arena this pass year and it's much better now. That being said, I've pulled my dogs from trials due to unsafe conditions. But most of the time, it was beyond the clubs control. I think clubs do want their surface to be safe. No one wants to see a dog injured. Most venues are known to exhibitors and used by many different clubs so safe surfaces only comes up where there's a new venue- a relative rarity. Still I remember a particular show where the surface was poured rubber and slick as a polished floor. How any club could have thought this was an acceptable surface remains beyond me, and in fact the exhibitors refused to run on it. Exhibitors had no way to know until they arrived what the surface was, and most had travelled hours to get there in addition to lost entries etc if they scratched. This was the club's failing. That said, we have plenty of exhibitors that complain regularly about a venue's footing, then sign up for the trials anyway. Repeatedly. This is the exhibitor's failing. If I feel something is unsafe for my dog I will alter my plan, alter my path, make up my own course, or scratch but I hate being put into that position. Its a waste of money, time and effort. Happily it has only happened to me 3 times in the last 15 years because clubs have gotten pretty educated about safety. To a large degree clubs usually do pretty well with this responsibility. Those that do not never see my entries. I'm sorry. I disagree. 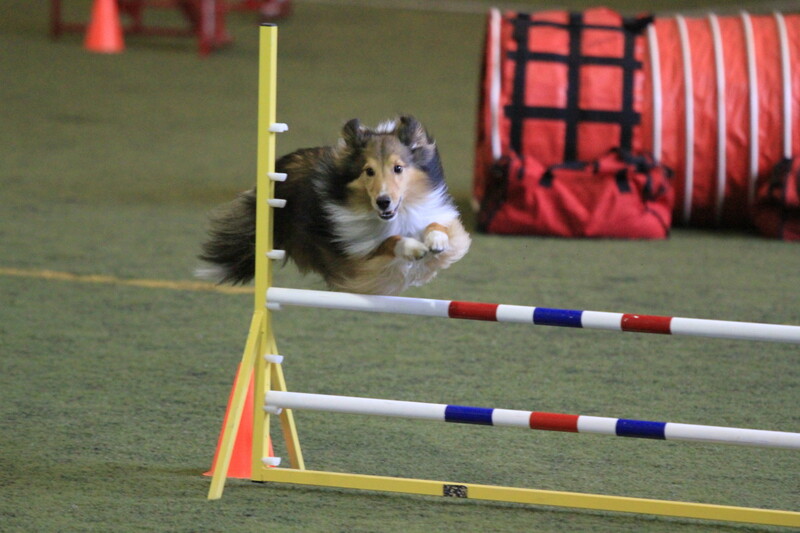 I have been a founding member f an agility club, and while I totally understand the difficulty of finding venues, I also know clubs tend to not always be willing to spend the money to get the good, safer venues. It it costs a lot of money for a venue with safer surfaces, then that's what the club needs to spend. My dog deserves that safety. In my area of the country, we are often asked to show in venues that are new to us, so we often have no clue as to the surface safety of a particular trial site. 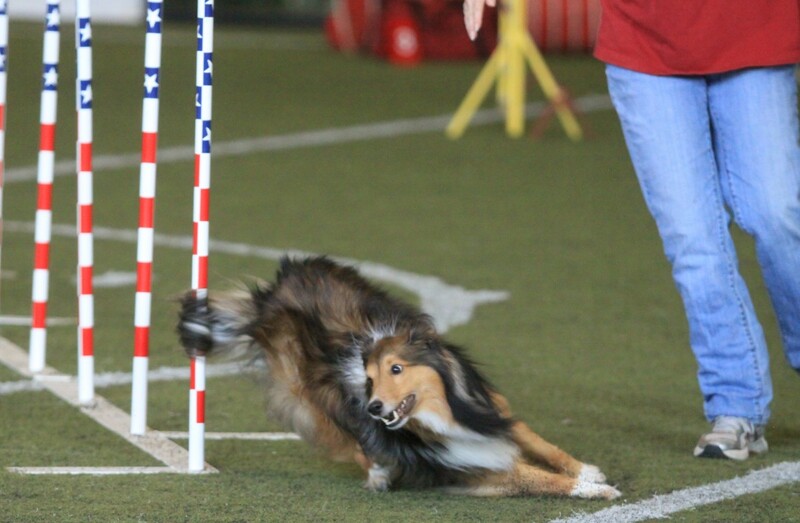 We are trusting that the club has done their due diligence to test the surface with various agility dogs, and that the club cares about the safety of the dogs in attendance. IMO, the safety of my dog SHOULD be any club's#1 priority. If making money is their #1 priority, then they should become a saleperson's club - not a dog club. There are always creative solutions to the issue of limited venues or venues with poor surfaces. If clubs' think outside the box, then these issues can be met, and the dogs can be kept safe. The only issue I have with this is if you live in an area like I do (San Diego) where it is difficult for clubs to find trial sites, you may end up hurting the sport to the point of killing it. The sites with really nice grass or really nice horse arenas don't allow the trials to happen. If you decide that the surface is unsafe, scratch your dog or don't enter the trial. You always know the trial site when you sign up, unless it is your first trial ever. Ultimately, it is up to me to decide the safety of my dog. The only exception would be National or Regional events where the organizers should carefully check the footing for such an event. I have scratched my dog from runs where I thought the surface was unsafe for HER; other dogs ran fine, but asking my dog for speed on wet mud would have been a problem for her. I think there's a huge difference between surface issues for small slow dogs and larger, faster dogs. My standard poodles are long-legged and jump long; I've seen border collies manage surfaces they struggle with. I would love for surfaces to be improved, but I ALSO think handlers need to be responsible for their own dogs. It would also be nice if judges would take into consideration the surface when they design a course. A course that works well on packed loam inside might be treacherous outside on grass. The poll proved tricky for me write. This is an op-ed piece and not a new editorial piece. In other words, this is an opinion piece (ie. a blog) and not a journalistic article. If this were placed in a newspaper, it would be on the Opinion page, not the news section. I do have some articles - in fact many articles - that would appear in the news section. They are not opinion pieces. I have been calling this one a "blog" to indicate the op-ed style of this piece. As a former hard-news newspaper journalist myself, I try to make sure to separate my "news" articles from my "opinion" articles. As this is an opinion article, it will be written with an obvious slant - after all that's how all opinion articles are written. :) I did try, though, to pick poll options that I thought people might feel. Even reviewing it from a new editorial viewpoint (which this piece is not), I still couldn't see how to word the options any better. As every option has at least one vote, apparently some people feel the options fit their opinions. Thanks for your comment though!!! My only comment is that the survey put me off. The comments following the choices make them prejudicial and inject the survey makers opinion into the survey. That makes the results skewed.